As there has been a shortage of paper money all over India, digital wallets are here to the rescue. Paytm wallet, a popular mobile eWallet has seen a massive increase in usage since PM Modi demonetised ₹500 and ₹1,000 currency to fight black money. Paytm is an Indian E-commerce website owned by the company called One97 Communications. Back in Aug 2010, it started as Paytmonline.com, a simple website to make mobile recharges and paying post-paid bills. But from there it took a massive leap in 2014 when it entered the E-commerce field providing an experience like Flipkart, Snapdeal, and Amazon. Now it’s a multibillion-dollar company which deals in various services such as — mobile and DTH recharges, movie tickets, booking bus, flight and railway tickets and the infamous Paytm Wallet. Well, Paytm wallet is like a digital bank account. To open a bank account, you have to visit the nearest bank, right? But to get a Paytm Wallet account, you can simply register by just using your mobile number. Now just like a bank account, you can use Paytm Wallet to send and receive money to different people and merchants. You can fund this Paytm wallet using Debit Cards, Credit Cards, Net banking account or receive money from other Paytm users. Similarly, with Paytm Wallet, you can pay for various goods and services without the use of cash; the transactions are completely digital. Paytm Wallet boasts of having more than 15 crore users, 8 lakh merchants and more than 30 lakh transactions processed per day. How to start using Paytm? As per RBI instructions, to create a Paytm account, you need two things — a mobile number and you have to be over the age of 18. 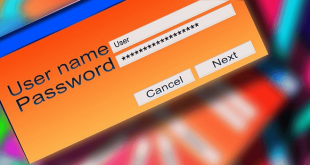 Although an email address is optional, we highly suggest you use an e-mail address for better account protection. Simply download the Paytm App (see link below) or go to its website, sign up with your name and phone number. And from there you will receive a One Time Password (OTP) on the registered mobile. Verify that, and from there you can begin using Paytm after some basic personal info. How to Add money to your Paytm Wallet? How much money can your Paytm wallet hold? Well, this depends on what type of wallet account you have. There are two types of accounts and limits a Paytm user can have. 2 – Full KYC (i.e. Premium Users): Maximum limit of your wallet is ₹1,00,000. Fulfilling KYC (Know your customer) requirements can extend the maximum limit of money your Paytm wallet can hold. These requirements are set by the Reserve Bank of India (RBI). Difference between Paytm Minimum and Full KYC? Previously, there was a big difference between KYC and Regular users. For instance, regular users were charged 4% while KYC users were charged only 1% to send money from Paytm wallet to their bank account. But since last week’s demonetisation policy by PM Modi, both Full KYC, and regular users are charge 1% to transfer money from Paytm wallet to their bank account. Paytm also shows the transaction costs before making the transfer, so that’s nice. How can a person get his KYC done on Paytm? The steps are pretty simple. Just walk into your nearest KYC center with govt approved ID proof (like Passport, DL, Adhar card, etc. ), or if you live in a tier 1 cities, you can book an appointment with Paytm representative, who will come to your place at your convenience. Visit this page for further information on how to get your KYC done. Can you use Paytm for purchase at brick-and-mortar shops? It depends on the merchant. If the retailer accepts Paytm as a mode of payment, then you can scan the QR code which they will provide you or transfer directly to their Paytm register mobile number. The money is transfer instantaneously. If the retailer does not accept Paytm, then you can politely request to create a Paytm account, since it’ll take only 2 minutes and they can always transfer this Paytm money to their bank account. How much money can you send or receive each day on Paytm? There is not a daily limit, but the monthly limit is set to ₹25,000. This is for both types of accounts (Minimum KYC and Full KYC). But there is no spending limit for Paytm Wallet at offline or online stores. Also, you can always create multiple Paytm Account from multiple mobile numbers, just like you can open multiple bank account with the same name. 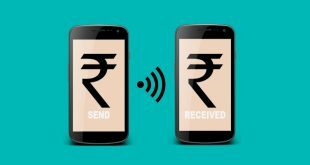 How to send money to other person using Paytm? To send money to another person who uses Paytm, use the following steps. 3 – Enter the recipient’s registered Paytm mobile number and the amount you want to send. You can also add a short message, but that is optional. After this, press Send and the money will be sent instantly over. Remember that there is no confirmation prompt after pressing Send. How to receive money from another person using Paytm? The process of receiving money is simpler than sending it. You can just inform the other party of your mobile number registered with Paytm. From there, they can follow the process in the question above this one. Though, if you own a shop or something, I suggest you take a print out your ‘Paytm QR code’ and stick it on the wall near the counter. This way, users can directly scan the QR code from their Paytm app to transfer funds. You don’t have to tell them your mobile number. See this gif on how to send money to other Paytm users by scanning the QR code. Can Paytm be used as an alternative to NEFT? Yes, you can use Paytm as an alternative to NEFT, but this isn’t recommended as there is a 1% transaction charge for sending money to a bank account. 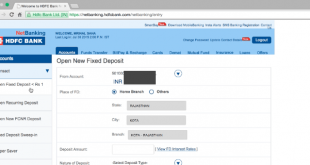 Typically a bank charges 5.75 Rs for NEFT up to 2 Lakh INR. And Paytm charges flat 1%. So if we do the maths, the charges are almost same for 500 INR, but as you go beyond that, Paytm becomes expensive. For instance, if you send 25k from Paytm and NEFT, the former one will cost you 250 while the bank charge will just around 5 INR. However, under the current situation, it does make sense sometimes to use Paytm as an alternate to NEFT due to following reasons. 1. Unlike NEFT ( or even IMPS) Paytm transfer is instantaneous while NEFT is done on banking hours. 2. Also, you need to add a beneficiary to do NEFT or IMPS which again takes few hours to even a day depending on the bank. How much money can you transfer from Paytm to a bank account? The single transaction limit is ₹5,000, but the monthly limit is set at ₹25,000. This is applicable for both types of Paytm accounts (Minimum KYC and Full KYC). Is Paytm safe to use? First of all, Paytm is a verified digital bank that has got it license from RBI. This is not the case with other online wallets. Also, Paytm is protected with Verisign-certified 128-bit encryption technology, so in theory it is perfectly safe to use as the key which is used to keep the data intact is encrypted with 128-bit technology, and nothing about your private data will be revealed to hackers even if they get hands on your data such as passwords, card info, etc. How does Paytm’s business model work? Paytm tries to make a profit with a few methods mentioned below. 3 – Selling services such as ticket bookings, utility bill payments, etc. Although Paytm CEO, Vijay Shekhar Sharma told this past January that Paytm made an operational profit, the figures were unrevealed which usually means that the operational profit made was minuscule. It should be kept in mind that Paytm is a booming business as of now, and as there’s a lot of growth expected now, especially after the demonetization that India has seen in the past week. List of popular places which accept Paytm Wallet. Paytm wallet is accepted on a lot of websites such as BookMyShow, Foodpanda, Healthkart, IRCTC, LensKart, MegaCabs, Uber, Zoom in etc, with many offline stores accepting it as well such as Big Bazaar, More, Mother Diary, Domino’s, Pizza Hut, Croma and much more. Can you deactivate your Paytm account? There is no quick and simple way to deactivate your Paytm account, but if you are sure you want to get your account deactivated then you can send an e-mail to care@paytm.com from the e-mail address of your registered Paytm account, and you’ll also have to mention the reason why you want your account to be deactivated. Paytm usually deletes your account after this in 2-3 days. What are Paytm Wallet’s competitors? Paytm has plenty of competitors in other E-wallet providers such as Mobikwik, Ola Money, PayUMoney, Freecharge (Snapdeal), PayZapp, Pockets, etc. Although there are a lot of competitors to Paytm, as of now it reigns supreme over all others as many merchants and users have already adopted Paytm. Hope this article helped you clear some doubts. If you have any more questions regarding Paytm, feel free to ask them via the comments or tweet me directly.